Would you like to learn more about trolls, elves, ghosts and other other beings around us? Are you attracted to the mystical and the spiritual? Do you like listening to legends and stories? Would you like to understand the past times in which they developed? 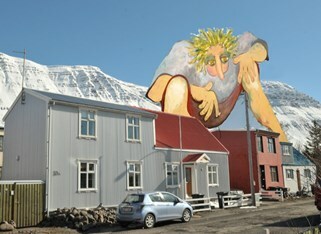 The small town of Ísafjörður is unique in Iceland. Its unusually well-preserved city center dates from the 19th century and still reflects its charming history, that remains alive in the legends and stories. Our guide is located at Westtours/Tourist Information Center, dressed as a woman from the 19th century, and takes you on a walk through the city and up to the slopes above Ísafjörður. 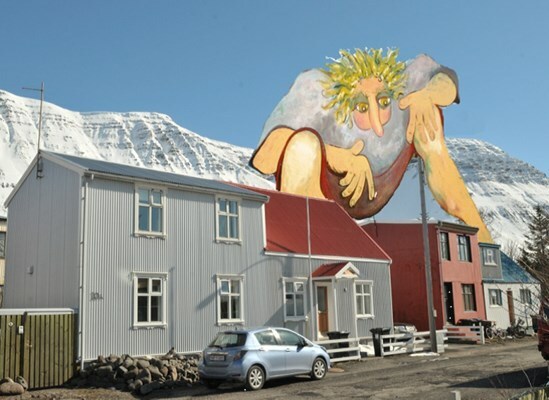 On the way she will show you interesting places, give you an insight into the history of Ísafjörður and tell tales and stories of ancient and modern times. You will learn about the people and their living conditions, their beliefs and their culture, which is reflected in the legends. You might experience a slight shudder when told of ghosts and, as well, fascination with the mystical creatures you will hear about in the tales. On the mountain slopes above the town, in the middle of nature, you will see the locations of our stories about trolls, elves, ghosts and people, while enjoying the beautiful view over the fjord and the surrounding valleys.